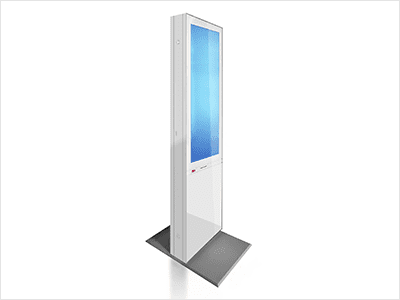 The friendlyway impress kiosk has been developed as a premium product for all digital presentation purposes. 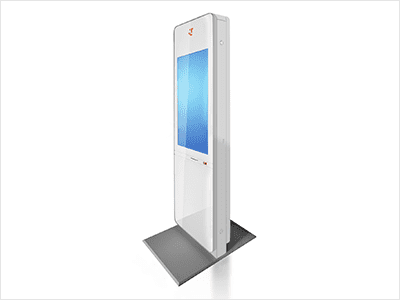 The housings are made entirely of aluminum and underline the quality requirements of the operators of their stelae. The smallest gap, no visible screws or ugly ventilation slots, non-visible W-LAN antennas – nothing that would disturb the viewer’s eye in any way. 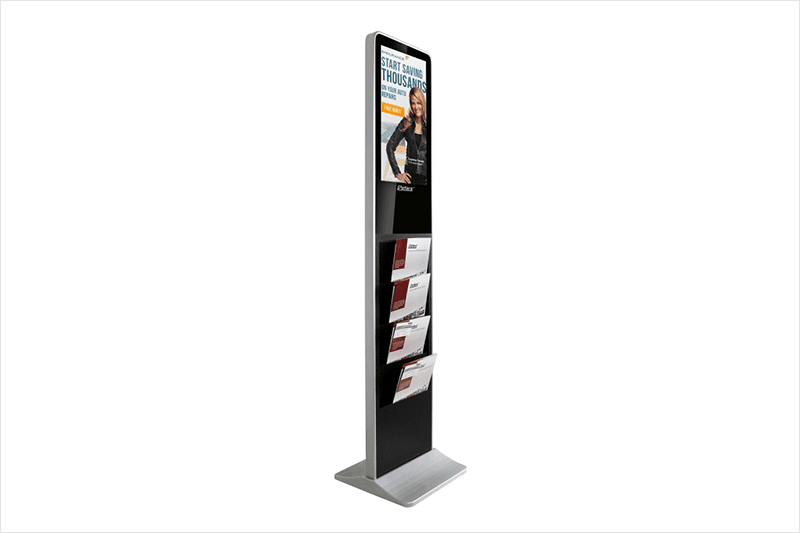 Our customers therefore opt for the impress kiosk because they very often present their own company and their products and do not want to implement this under any circumstances at a cost-effective cost-effective solution. The huge 21″ display is equipped with the latest Multitouch technology (option). 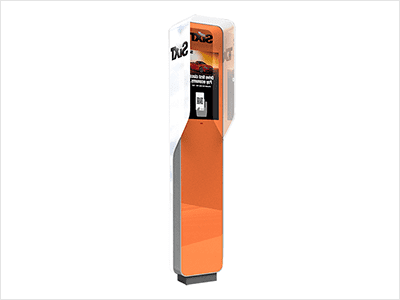 Both sizes are only 47 mm deep and the elegantly integrated options make the friendlyway system a real eye-catcher in your shop, in your foyer or at your trade fairs and events. 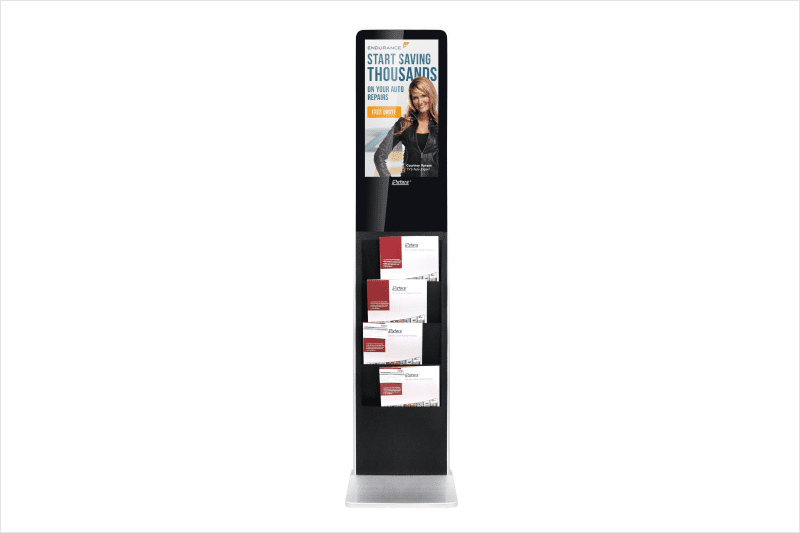 The unmistakable shape and the appealing premium design invite your customers in a friendly way to inform themselves about the impressed kiosk of all knowledge. Each unit is manufactured and equipped according to your wishes. 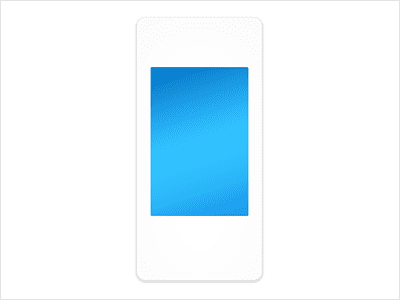 From the RAL pallet, you can define your desired color without any extra charge and thus integrate the device even better and more attractive into your company ambience. The extensive selection of options makes it possible to expand the functions of the terminal exactly according to your requirements. Especially popular are the multi-touch screen, barcode reader, the 80 mm receipt printer (yes, an 80 mm receipt printer!) And the high-resolution webcam. This makes the friendlyway impress series a system which is exactly tailored to your needs and meets all modern requirements and completes every ambience through design and elegance. Information on the point of the point. Print coupons. Limited sales promotions. New customer acquisition.